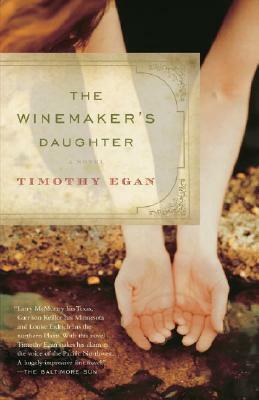 Pulitzer Prize-winning New York Times national correspondent Timothy Egan turns to fiction with The Winemaker's Daughter, a lyrical and gripping novel about the harsh realities and ecological challenges of turning water into wine. When Brunella Cartolano visits her father on the family vineyard in the basin of the Cascade Mountains, she's shocked by the devastation caused by a four-year drought. Passionate about the Pacific Northwest ecology, Brunella, a cultural impact analyst, is embroiled in a battle to save the Seattle waterfront from redevelopment and to preserve a fisherman's livelihood. But when a tragedy among fire-jumpers results from a failure of the water supply–her brother Niccolo is among those lost--Brunella finds herself with another mission: to find out who is sabotaging the area's water supply. Joining forces with a Native American Forest Ranger, she discovers deep rifts rooted in the region's complicated history, and tries to save her father's vineyard from drying up for good . . . even as violence and corruption erupt around her. Timothy Egan, a third-generation westerner, is the author of Lasso the Wind, The Good Rain, and Breaking Blue. He has been a writer for The New York Times for the past fifteen years and was part of a team that won the Pulitzer Prize in 2001 for national reporting. He lives in Seattle with his wife, Joni Balter, and their two children. This is his first novel.